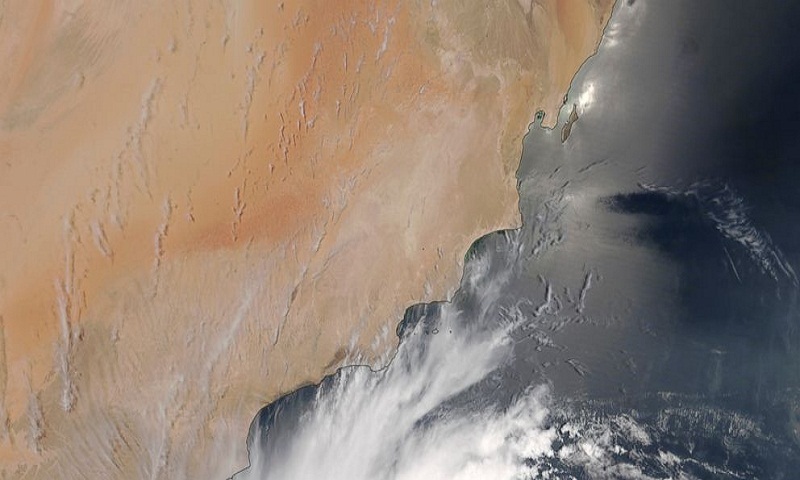 Cyclone Mekunu will be "extremely severe" when it crashes into the Arabian Peninsula this weekend, meteorologists warned Friday, after earlier thrashing the Yemeni island of Socotra. At least 17 people are missing from Socotra, with one Yemeni official describing them as likely dead. Conditions quickly deteriorated in Salalah after sunrise Friday, with winds and rain beginning to pick up. Strong waves smashed into empty tourist beaches. Many holidaymakers fled the storm Thursday night before Salalah International Airport closed. Salalah, the hometown of Oman's longtime ruler, Sultan Qaboos bin Said, already began sandbagging low-lying doors and warning residents not to go into valleys for fears of flashing flooding. Oman sent rescue helicopters to remote villages in its Dhofar governorate to evacuate those who could be impacted by flooding or mudslides. It also evacuated the critically ill from Sultan Qaboos Hospital in Salalah, flying them north to Muscat, the country's capital. Seasonal rains are nothing unusual for southern Oman this time of year. While the rest of the Arabian Peninsula bakes in areas where temperatures near 50 degrees Celsius (122 degrees Fahrenheit), those in the sleepy port city of Salalah enjoy rainy weather that sees fog and cool air wrap around its lush mountainsides. Temperatures drop down around 25 degrees Celsius (77 degrees Fahrenheit) during its annual monsoon festival.